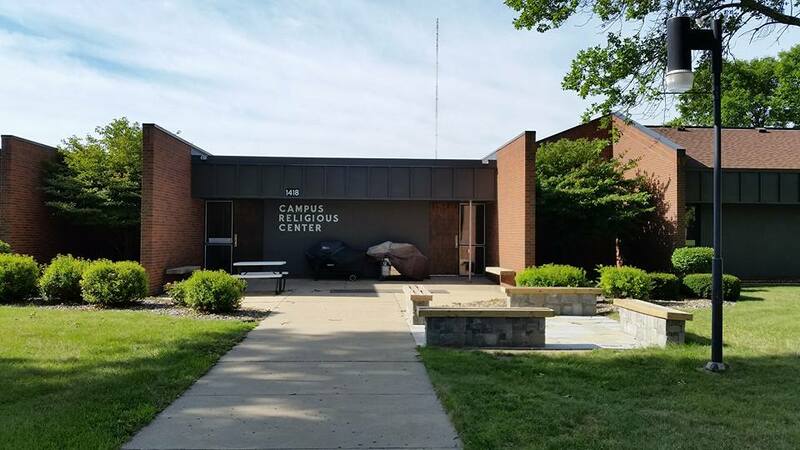 The Campus Religious Center is an ecumenical center where Christ is praised and worshiped by both Holy Redeemer Catholic Church and the Evangelical Lutheran Church of America. We come together to minister to students on campus in order to open our doors to reach out in the Mission Christ began. The Campus Religious Center (CRC) is a privately funded and privately run facility. The CRC houses offices for both Catholic Campus and Lutheran Campus ministries, a gathering space, Chapel, Fireside Room, Kitchen, Food Pantry, Conference Room and Lounge. Additionally, the Diocese of New Ulm has office space for Catholic Charities. Legal Aid offers services from our conference room two Mondays a month and an NA group meets on Wednesday evenings. Welcome Back Grill Out Tuesday, August 28th!